Japanese genre painting, or Fūzoku-ga, focused on the energetic culture and customs of the Edo-period urban classes. During the Momoyama period (1573–1615), Japan witnessed the emergence of a lively middle class, and genre painting mirrored this change by portraying city life and its entertainments. The style associated with genre painting was derived in part from Japan’s own classical Yamato-e tradition, and captured scenes of everyday life with detailed descriptions of clothing, facial expressions, and urban architecture that readily identified specific localities for viewers. An important sub-genre of fūzoku-ga was ukiyo-e, usually translated as “pictures of the floating world.” The principle audience for ukiyo-e paintings were members of the merchant and artisan classes. The artwork depicted the world of entertainment, particularly the Kabuki Theater and courtesans in the brothel districts. In the 18th century ukiyo-e became associated most closely with the medium of woodblock prints, which were less expensive and easier to reproduce than paintings. 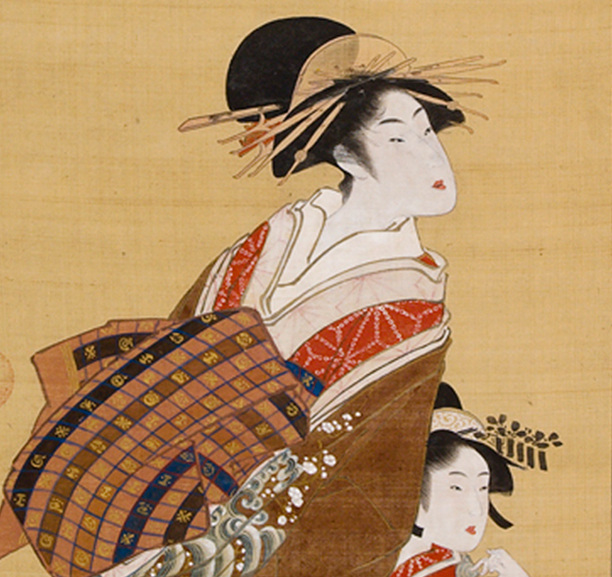 Many artists created both paintings and print designs based on popular ukiyo-e themes. 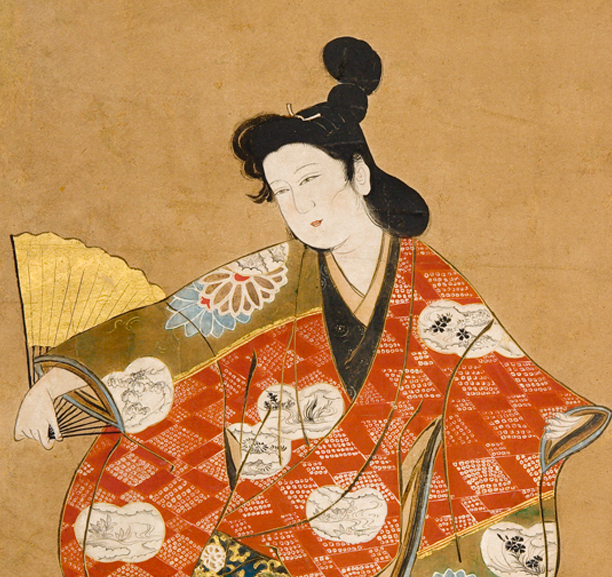 The distinct subject matter of ukiyo-e was produced through certain stylistic techniques widely adopted by ukiyo-e artists. 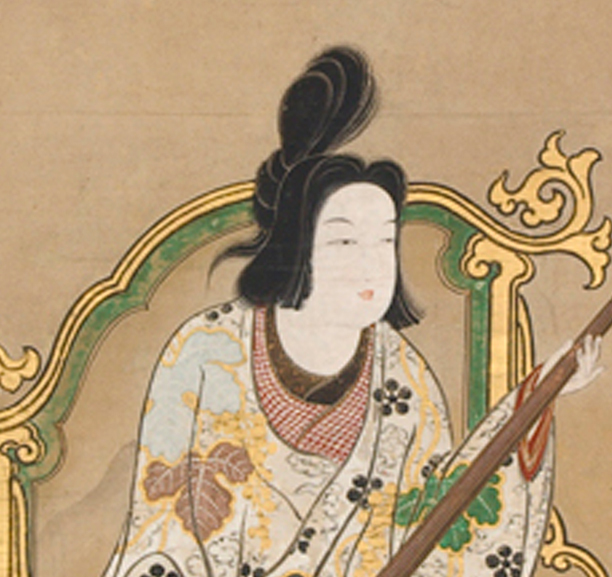 A woman’s facial features and hairstyles were frequently described with meticulously fine linework, while bolder and more calligraphic brushwork was often used to depict clothing. 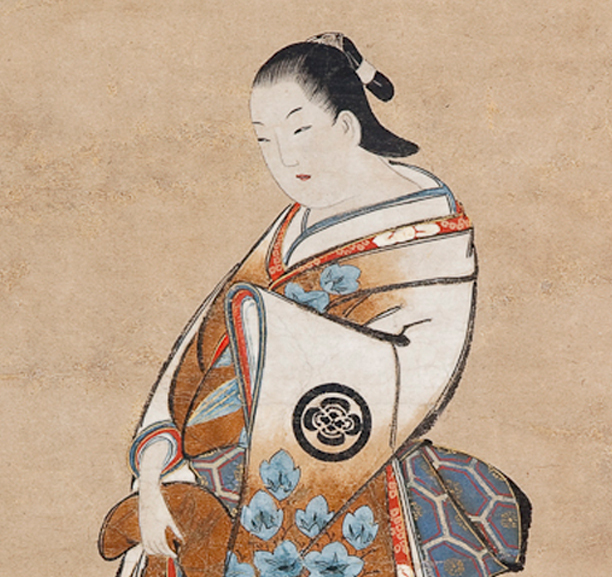 The brilliantly colored designs and sumptuous patterns used to decorate a woman’s kimono were of particular interest to ukiyo-e painters, as clothing was one of the primary means by which beauty was defined in the sub-genre of ukiyo-e known as bijinga (“pictures of beautiful women”). Through these images, viewers today are offered a rare glimpse into daily life in the thriving cities of Kyoto, Osaka and Edo during the 18th and 19th centuries.